Sam and I are going to Africa to live in a poverty stricken, predominantly Islamic community. It is going to cost Australian churches around 100k a year for us to be there (most going to government, utilities, and housing transport etc). For the first 3 years of our time there we are going to be spending the majority of our time learning the language and culture. Hopefully in that time we will also be getting to know and build relationships with people in the community. Our aim is to see communities of faith (in Jesus) develop all throughout the region. And for, one day, these groups to be going into other areas and aiming for the same thing as us. For this to happen it is going to require many years of slow progress, many generations of faithful people being obedient to Jesus. Many hurts, many sorrows, and much cost. Doubts will set in, “will anyone accept Jesus?” People will leave, friends will die, relationships within the team will go through periods of strain. Life will go on as it always has, and each year we’ll ask has anything actually changed? Have we made a difference? Are we doing the right thing? Is this huge cost worth it? And yet a flicker, the feigntest of flickers becomes visible. A glimmer of hope in an otherwise hopeless situation. Little Wally in a Where’s Wally book. It’s the Holy Spirit, at work bringing about God’s kingdom here on earth as it is in heaven. And the Holy Spirit wants us to be a part of it. Even more the Holy Spirit wants us to be more than a just a part of it, the Holy Spirit wants us to be partner. The Holy Spirit wants us to be God’s ambassadors; Christ’s representatives here on earth. Paul in 2 Corinthians 5:20 explains that, “We are Christ’s ambassadors, as though God were making his appeal through us. 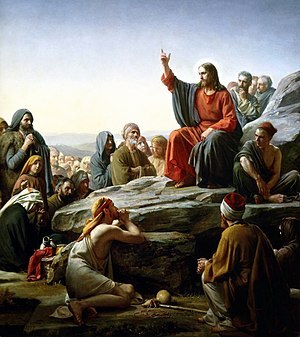 We implore you on Christ’s behalf: Be reconciled to God.” That doesn’t mean that the Holy Spirit works exclusively through us, God is intimately involved in the world through his own faculties, but from what I understand, God in fact chooses to mainly work through His people to bring about his Kingdom on Earth as it is in Heaven. So while it may look like nothing is happening, while it may be a long and painful journey, I have hope because the Holy Spirit is at work, and is at work bringing about His Kingdom through His people. Now this doesn’t mean anything is going to happen fast, and it doesn’t mean that it will be something of note. People, contrary to what our culture expects, wont see big acheivements. It will be a slow and for the most part uneventful journey. Matthew in his Gospel, in chapter 13, says that God’s Kingdom will be like wheat growing in and through the weeds; it will only be at the end of time that it will rise up as the only Kingdom. Matthew also says that the Kingdom will be like a tiny mustard seed; it’ll take years of slow growth, but one day it will catch us by surprise, it’ll be a large tree providing shade for all to sit under. Matthew also says that the Kingdom is also like yeast; A little is added to the dough, you wont be able to see it, it won’t be recognisable, but the whole loaf will rise because of it. We wont be able to see it’s growth but it is growing. We won’t be able to draw it out and separate it from all the trouble and chaos in the world, but one day it will be the only Kingdom left on earth. No power will stop God, He is at work! But his schedule is not our schedule, and I get the impression that he is a “Slowly Slowly” God. For God I think the journey is just as important as the destination. And so we jump on board, knowing that we’re going to get nowhere fast, but knowing that one day everything in this world will come under the reign of Jesus Christ. It’s slow, it’s painful. No one ever said it was going to be easy. But how awesome it is to be a partner with God to make it happen.